Computational wireless sensing is an exciting field of research where we use wireless signals from everyday computing devices to enable sensing. The key challenge is to enable new sensing capabilities that can be deployed at scale and have an impact in the real world. In this talk, I will show how to enable computational wireless sensing at scale by leveraging ubiquitous hardware such as smartphones. Specifically, I will present core technology that can wirelessly sense motion and physiological signals such as breathing using just a smartphone, in a contactless manner. To achieve this, we transform smartphones into active sonar systems. I will show how we can use this technology to detect potentially life-threatening conditions such as opioid overdoses as well as sleep apnea. Finally, I will briefly talk about my work that leverages new hardware trends in micro-controllers to enable wireless sensing applications ranging from object tracking to sensing using live insects such as bees. 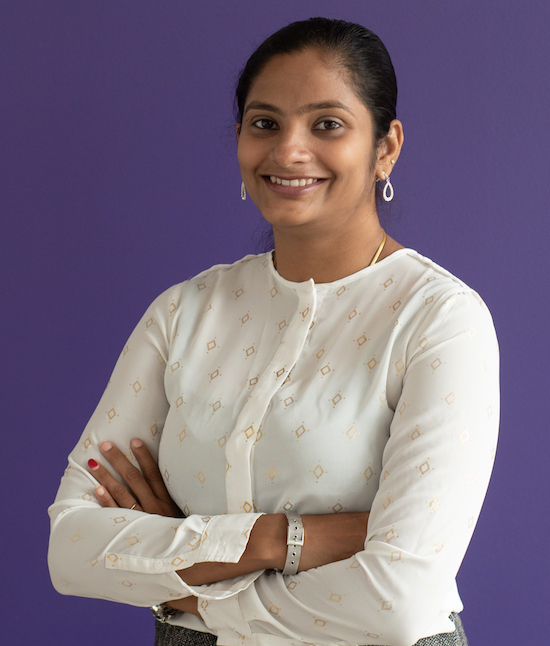 Rajalakshmi Nandakumar is a Ph.D. candidate at the Paul G. Allen School of Computer Science and Engineering at the University of Washington. Her research focuses on developing wireless sensing technologies that enable novel applications in various domains including mobile health, user interfaces and IoT networks. She developed the first contactless smartphone-based sleep apnea diagnosis system that was licensed by ResMed Inc. and now used by millions of users for sleep staging. She was recognized with the UW Medicine Judy Su Clinical Research award, Paul Baran Young Scholar award by the Marconi Society and also named as the rising star in EECS by MIT. She has first author papers in top medical journals including Science translational medicine as well as computing venues (CHI, SIGCOMM, SenSys, MobiCom, MobiSys). Her research was awarded multiple accolades and nominations including MobiSys 2015 best paper nominee, CHI 2016 Honorable mention award and SenSys 2018 best paper award.